One of your largest investments is your home. And often the first thing people see is the roof. If you are looking for the best roof cleaning company, this is the place! It looks better! It can add value to your investment. The black streaks on your roof are not just stains simply caused by the weather. They are actually living organisms called Gloeocaspa Magna (roof algae). If left unattended this algae can cause damage. When it rains, the algae can slowly spread down the roof adding more stains and streaks. A Softwash can not only remove the algae but can help in preventing its return. There are two different ways to clean roofs: soft wash or high pressure. High pressure roof cleaning uses pressure to clean and soft washing softwash roof cleaning uses chemicals followed by rinsing. Both methods work. However soft washing is the preferred method for roof cleaning. Soft-washing is recommended unless you are preparing for re-painting. If this is the case a more robust, high pressure cleaning is needed to properly prepare the surface for painting. What type of roofs do you clean? Each of these roofs requires a different approach.There is a right way and a wrong way to clean each. If incorrect technique or materials are used there is a risk of damage to the roof. Inexperienced contractors or homeowners can easily damage tiles or tin by abrading the surface protection. The main culprit of roof cleaning damage is too much water pressure. 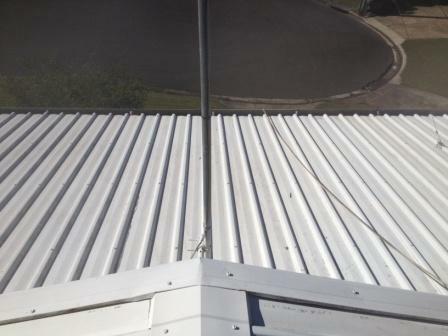 A low-pressure roof cleaning system is prefered for most roofs. Low pressure roof cleaning is recommended by roof manufacturers: first a low pressure chemical application then a low pressure rinse. The Softwash Experts have a proprietary mix which is used on roof cleaning and house washing. This solution is effective in killing the algae when applied with low pressure. A thorough rinse is then needed to wash the dead algae off the roof to restore its original appearance. Soft washing also provides a result which will last longer. Special care is taken to pre-wet all plants and landscaping and rinse them when finished. Our cleaning solutions strong enough to clean your roof and kill all exisiting algae. Every surface is thoroughly rinsed which means not only the roof but all surrounding plants. The Pressure Clean Experts also comply with environmental requirements by not discharging run-off down the stormwater system. This means a quiet, gentle and SAFE clean for your roof. We work by appointment so we won’t show up unannounced. All our equipment is carried with us, but will need to hook up to a water supply at your house. After the job our technicians clean up and leave your home looking great. Maintaining great street appeal is pretty high up on the maintenance budget. Lawn care services, landscape maintenance, paining and exterior cleaning are all definite home improvements that give you the best bang for your buck. Let’s think about this for a minute. Do you own a lawnmower, leaf blower edge trimmer etc? Or perhaps you have a contractor do this work for you? Why? Street appeal. With your home being your largest investment, you want that investment to look good. 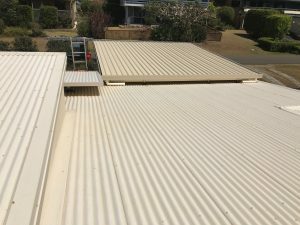 What causes the discolouration on my roof? One of the biggest eye-sores and street appeal killers is roof algae. 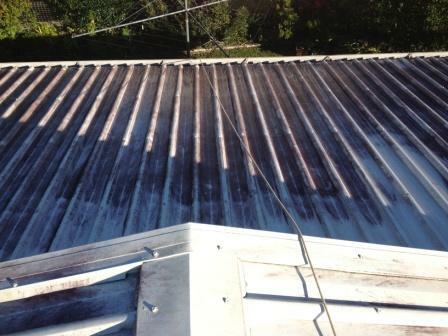 Roof algae appears as black stains or streaks on your roof surface. It can easily take away from the beauty of an otherwise gorgeous home. So what can be done? You CAN clean your roof and restore it to close to original condition. According to Home & Garden, your roof can account for 40% of your homes street appeal. Doesn’t it make sense to have your exisiting roof look brand new again for just a fraction of the cost of a restoration? When possible we operate from the ground. However, on some high-set or two storey homes we need to reach the upper levels from the roof itself. Some areas are hard to reach from the ground: solar panels, chimneys, water heaters and some gables. We do carry Work Safely at Heights tickets and use correct safety gear. You don’t need to be home for us to clean you roof! We’d like you make sure that all doors and windows are closed, and pets are kept away if possible. Since we are probably working from the ground we don’t want to trip over your pets! Depending on the size of your roof, our crew is typically finished within the day. We can outline this more accurately when we quote. 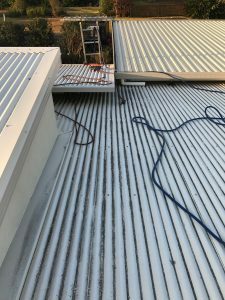 When you need the best roof cleaning company offering softwash roof cleaning services Sunshine Coast to North Brisbane. Get professional roof cleaning with The Pressure Clean Experts!